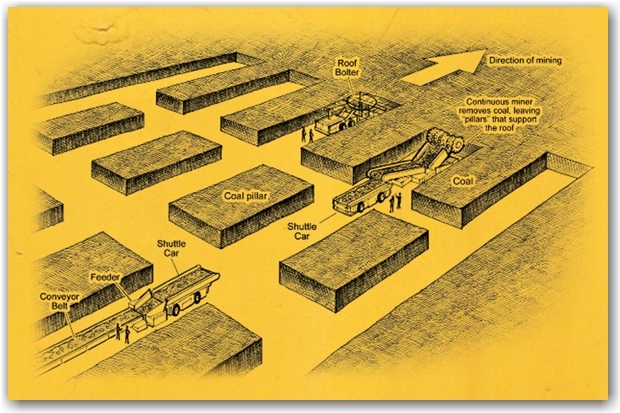 Bord and pillar mining method comprises two phases i.e DEVELOPMENT and DEPILLARING. Sometimes both these phases proceeds simultaneously. In development, pillars are formed by driving a network of galleries, of which one set is generally parallel to the dip and the other set is parallel to the strike cutting the former at right angles. Develop the entire area into pillars and then extract the pillars starting from the boundary. Develop the area into panels and extract pillars subsequently panel-wise. 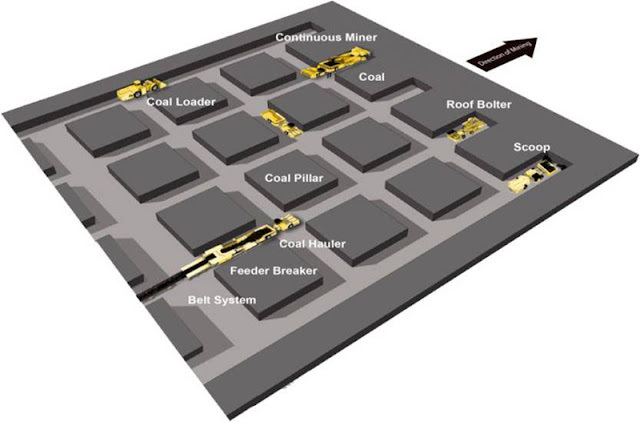 This is called as panel system of mining. "Whole" followed by "Broken" working in which the mines is opened out by a few heading only and there after development and depillaring go on simultaneously starting from the boundary.